Suitable rearward facing from birth to 13kg. Removable full body support cushion. Removable and machine washable covers. Multi position, ergonomic carry handle with soft-grip overmold. Curved base also allows for rocking and relaxing. 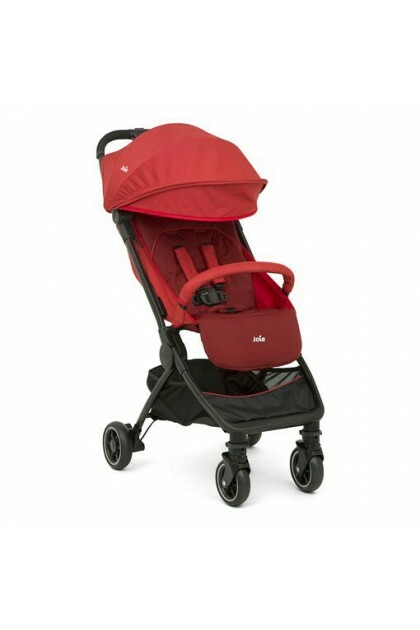 Attaches to Joie strollers without a car seat adapter. Installs in vehicle with the Joie base (sold separately) or with a vehicle’s 3 point seat belt. 5 point harness with shoulder and lower buckle covers. One pull motion easily tightens the 5 point harness.